Diving depth: 100m. 1 X 18650 Battery. 1 X Elfeland LED Diving Flashlight. Great for Levee patrol, inspection, search, site inspection, security, first aid at outdoor activites(hiking, camping, hunting, survival,dive sea). This flashlight uses a textured reflector(rather than smooth reflector). Ultra-deep trench structure Skid-proof effect is excellent when diving. 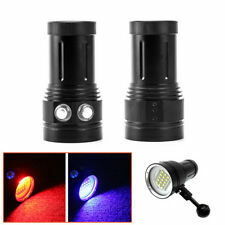 Emitter Type: 2 T6 LED. Quantity: 3 LED. Light Color: White. 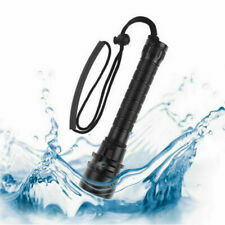 XTAR D26 Cree XM-L2 U3 LED 1100lms Diving Flashlight Torch. Excellent anodized aircraft 6N01 aluminum alloy plus premium Type III hard-anodized anti-abrasive finish, which makes D26 anti-corrosion. Lightweight design. High performance balanced second stage octopus withextra long 39" yellow hose . Neon yellow cover for maximum visibility. High grade silicone mouthpiece.Includes Dive/Pre Dive switch (reduces regulator free flow). No duty or brokerage fees will apply. NET Weight 25g. Up for sale is one jar 25 g (0,88 oz)Silicone Grease, Cofee machines, Scuba diving, Valve O- r ing l ubricant, e xcellent w ater r esistance, SAFE for r ubber and p lastic g askets. 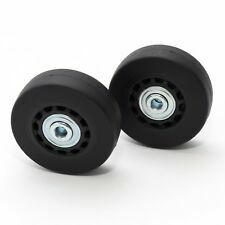 Car door rubber lubricant (water repellent, frost prevention). Weight mold to make poured lead dive weights. Mold includes 2 tines that create slots in the finished weight, for threading onto standard webbing dive belts. Interior markings correspond to weight of poured lead. DACOR 3 HOSE SECOND STAGE QUANTUM ENDURO EXTREME PACER PLUS USED GREAT COND. 4 out of 5 stars - DACOR 3 HOSE SECOND STAGE QUANTUM ENDURO EXTREME PACER PLUS USED GREAT COND. 1 product rating1 product ratings - DACOR 3 HOSE SECOND STAGE QUANTUM ENDURO EXTREME PACER PLUS USED GREAT COND. This waterproof LED lights has portable design, low-power, and high-brightness. 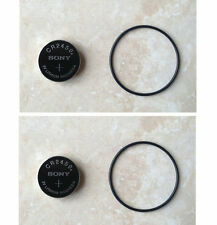 It is specially customized for shooting and photograph, good for various occasions. It's fashionable, high security with super-wide angle for photo graph. XTAR D26 1100lms Scuba Diving Flashlight Torch. Excellent anodized aircraft 6N01 aluminum alloy plus premium Type III hard-anodized anti-abrasive finish, which makes D26 anti-corrosion. 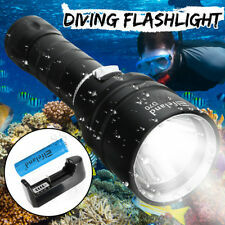 Product Code D26 Diving Flashlight. I have not used this for a number of years. It worked last time I used it.Top rated regulator when it came out. Vintage AMF MR12 II Scuba Regulator + SPG Serviced! 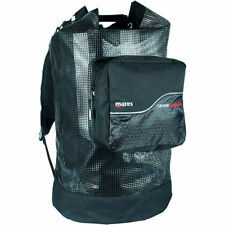 Buying scuba and snorkeling equipment can be a daunting task for inexperienced divers. 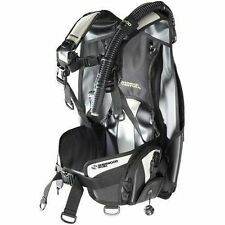 Many people like to own their own gear because of the convenience it provides for them to go on a dive whenever they like and do it much more comfortably. Lets take a look at what gear you might need and how you can select these items. Do scuba diving and snorkeling require tons of equipment? No. There are only a few pieces of gear you need in order to enjoy scuba diving or snorkeling. 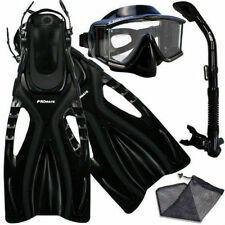 These basic pieces include a diving mask, a snorkel, and fins or flippers. How should you choose a diving mask? Size: Find a size that fits you without leaving gaps. colour: Go for products with lighter colours; these are easier to see through. Material: The best masks are made of 100% silicon. Rubber and PVC are not suitable mask-skirt materials. The mouthpiece on this piece of equipment should be made of soft silicone for comfort. Lenses: The lenses should be made of impact-resistant material. How should you choose a snorkel? Standard tube snorkels: These are simple tubes that you breathe through. Most standard tubes dont have a mechanism to help expel water if the item gets flooded while snorkeling or diving. Semi-dry snorkels: These are designed to deflect water on the surface. However, the snorkel will still flood if a diver gets submerged. Dry snorkels: These have a purge valve that closes when a diver goes underwater, meaning the equipment stays dry. Roll-up snorkels: These are easy to carry in your pocket, making them convenient. When buying this kind of equipment, you should look for one with a purge valve at the mouthpiece to allow you to expel water easily in case of flooding. 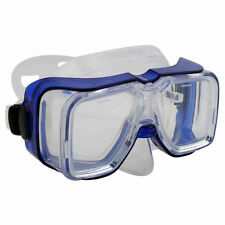 Alternatively, you can go for dry snorkels, which stay dry even when you are diving. How should you choose your diving fins? Fins or flippers help you move around in the ocean efficiently. Diving fins should be chosen carefully; a poor selection can spoil a diving experience. If you dont have strong legs, you should purchase smaller flippers. Ensure you can wiggle your toes when wearing a pair of flippers or go for a slightly larger size. More experienced and stronger scuba divers are able to use bigger and less flexible ones comfortably. What else do you need for diving and snorkeling? Other types of equipment are useful for diving or snorkeling. Exposure suits: These are meant to keep a diver warm when diving. The suits work by keeping water off your body. A good exposure suit should fit comfortably and not restrict movement. Buoyancy Control Device (BCD): These devices give you control underwater. They are designed as jackets, wings, or traveling BCDs. You can combine wing-style BCDs with harness systems. 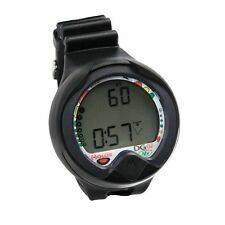 Dive watches: These are useful if you intend to dive multiple times in a single day, letting you keep track of how long youve been diving. A dive knife: Dive knives and shears help you cut through ropes, fishing lines, and vegetation that may trap you as you dive.